After completing our tour across Germany, Hammer-IMS exhibits on EDANA in Rome and mtex+ in Chemnitz. At the same time, CEO Noël Deferm speaks on the Chemnitzer Textil Tagung. Earlier on the Germany Tour has taken Hammer-IMS to a range of events, including Textile Coating and Laminating (TCL) conference (Berlin), Vliesstofftage (Hof), AMI Breathable Films conference (Cologne), Filtech (Cologne), Extrusionstagung (Duisburg) and AMI Heavy Duty Sacks (Cologne). Visit EDANA’s International Nonwovens Symposium (Rome – May 23-24) to find out about the latest trends and innovations in nonwovens and related products. Hammer-IMS will have a tabletop expo at EDANA and Noël Deferm will be there to discuss M-Rays, the game-changing measuring technology of Hammer-IMS for inline basis-weight measuring. The week after, Hammer-IMS has a expo booth on mtex+ in Chemnitz, Germany again ;) (May 29-30 – Booth M61). The next-generation Marveloc-602 CURTAIN system. It is a multi-sensor solution for basis-weight measurements, to obtain a 100% scan of inspected material. M-Rays in action – Demonstrating clean basis-weight measurements! The use of M-Rays (electromagnetic millimeterwaves) is an innovative alternative to conventional radioactive and nuclear measurement technologies. Come and watch the Hammer-IMS Marveloc 206-CURTAIN system in action on the booth on mtex+ in Chemnitz. 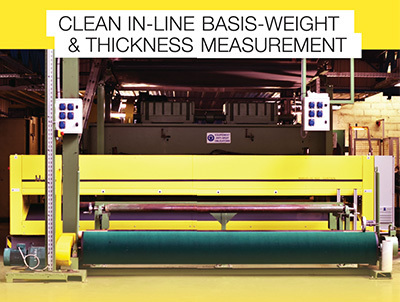 Nonwovens and coated textiles producers reduce their Total Cost of Ownership (TCO) when using M-Ray based basis-weight measurement solutions. The reason is that their approach eliminates emission-related licenses, training, protection, safety, etc. Noël Deferm, CEO of Hammer-IMS, presents on the Hammer-IMS booth (M61) on mtex+. 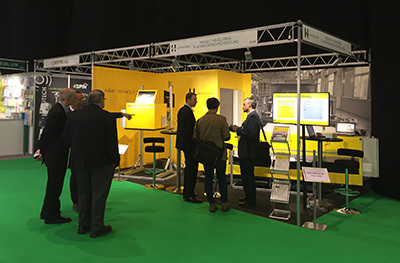 Noël is there to welcome you and discuss the M-Ray technology and its specific applications. Robin Michiels, Sales & Business Developer, is also available to discuss your specific basis-weight measurement applications related to nonwovens and coated fabrics. On the Chemnitzer Textiltechnik Tagung (taking place simultaneously), Noël Deferm gives the following presentation: M-Rays: High-coverage and clean basis-weight measurement of thick nonwovens and coated textiles. The presentation is scheduled on Thursday May 29 at 11:30 AM (Themenkomplex 5: Nachhaltigkeit textiler Prozesse und Recycling).